Generally, the biggest concerns with mental illness include harming behaviors and substance abuse. Data from 2015 shows 20 percent of New Mexican high schoolers admitted to harming themselves in the previous year.17 These behaviors may include cutting, purposeful burns, and even attempts to take their own lives. Statewide programs monitor prescribing practices of narcotics and provide resources for individuals to dispose of excess prescription drugs, but such programs aren’t obligatory. Thus, it is at every individual’s discretion whether or not to get rid of leftover medications. Keeping these drugs on hand not only increases the risk of them being stolen, but also the risk for misuse by the individuals they are originally prescribed for. Many people are unaware that using a prescription drug, even one written out to you, for any reason other than the original intent is still a form of drug abuse. This is a lot more variety and range than many other states offer in the nation. Outpatient care is offered more frequently because it is both more flexible and accommodating to the client’s lifestyle, and it is generally more affordable. Coverage for treatment is something that many insurance companies now offer, especially since the passing of the Affordable Care Act in 2010. Other payment options do exist, and some facilities even offer payment plans, grants, and financial aid resources for treatment. Often, disadvantaged clients will qualify for Medicaid, which covers the full cost of many substance abuse treatment options. Whether you’re battling depression, anxiety, heroin or marijuana addiction, alcoholism, or a combination of these issues and more, help is not far away. Reaching out to places like the New Mexico Behavioral Health Collaborative, the United Way of Central New Mexico, and the New Mexico Department of Health can help to put you on the right path to sobriety. In 2010 alone, the state had the second highest drug overdose rate in the nation. Since that time, some counties have seen a 66.3 percent increase in overdoses.These statistics are worrisome, but they do not have to be persistent. In fact, there are a number of things people can do to turn these statistics around. Treatment can help, for example. People who enroll in treatment get care for addictions, so they do not become people who overdose. There are plenty of treatment options open to people in need in New Mexico. These are the top options available. Vista Taos Renewal Center: This private and luxurious addiction treatment facility is nestled in the shadow of the Taos Mountain. The location is important, as the founders believed that it is easier for people to recover from an addiction when they are surrounded by safety, security, and gorgeous scenery. All of this is provided on this campus. People who enroll are offered semi-private rooms, and each week, they are offered exercise opportunities, massage therapy, yoga, spiritual excursions, and more. Enrollees are also provided with personalized addiction counseling provided by certified professionals. That therapy may be provided either individually or in groups, and there are special forms of therapy for trauma recovery. Relapse prevention skills are taught, as are family coping skills. People who want to find out more about insurance coverage and payment options should call (575) 586-5078. Shadow Mountain Recovery: This organization has treatment facilities all across the Southwest. One facility is in Taos, New Mexico. This facility offers an extended addiction treatment program. People who have tried other pathways to recovery and found it hard to make changes that will stick might appreciate care in this setting. They will tap into resources that are delivered for months, not weeks, so they can really learn and grow in sobriety. Individual and group therapy is provided, as are educational sessions and experiential therapy. Art therapy, family therapy, relapse prevention therapy, and aftercare are provided as well. There are also a family program and trauma-informed program, for people who need those services. Care is confidential, and insurance payments are accepted. Call (505) 369-0080 to find out more. View Point Rehabilitation Center: Whether the addiction involves alcohol, illicit drugs, prescription drugs, or something else altogether, people can get help at View Point. There are ambulatory services, for people who want to continue to live at home while they heal. There are also inpatient services for people who need supervision and around-the-clock support in order to get better. The goal of treatment is to help people leave drugs behind, and to help people build needed life skills, so they will not be succumb to relapse at a later point in time. Programs last 30-90 days, and they are all held at the treatment facility in Rio Rancho. Insurance payments are accepted. Call (877) 723-1243 to find out more. New Mexico Treatment Services: This treatment organization has locations throughout New Mexico. The team specializes in helping people who are addicted to opiates, including both heroin and prescription painkillers. The team can offer detox services, so people can get sober in a safe and protected environment. Follow-up programs help people to maintain that sobriety by building new life and sober skills. Some treatments are provided on an inpatient basis, but there are many others that are available on an outpatient basis. Medicaid payments are accepted. An intake interview starts the treatment process. Call (505) 747-8187 to find out more. Recovery Services of New Mexico: Opiate and opioid addictions are huge problems for people in New Mexico. Often, people with these addictions need specialized help in order to recover. They can get that help through this organization, which operates several treatment centers throughout the state. The team can provide replacement medications that help to ease cravings and soothe mental distress. And the team can provide in-depth counseling services that can help people to develop life skills, so they can stay sober in the future too. All counselors are licensed and trained in the addiction recovery field. The medications are provided by medical doctors. Some insurance payments, including Medicaid, are accepted. Each treatment center has its own phone number and treatment hours. Visit the website to find that contact information. Albuquerque Drug Treatment Centers: This organization works as an information hub for people living in New Mexico. With one call, people with addictions can learn more about the treatment facilities located within the state, and they can work with an admissions counselor to find the right program at the right price point. 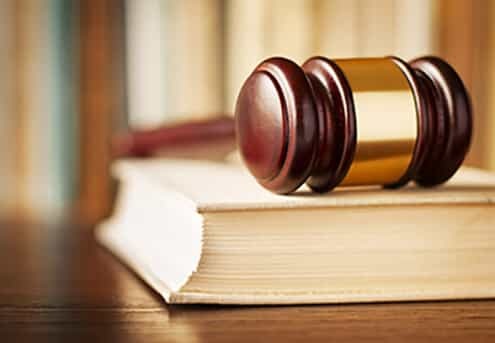 There is no call for that consultation, and everything said is kept confidential. Network providers can offer treatment for alcoholism, drug abuse, or both. There are medical detox programs available for people who need help in order to get sober. Insurance payments are accepted. Call (505) 559-4268 to find out more. Teen Challenge of New Mexico: Adolescence can be a difficult time, and sometimes, young people dabble in drugs and alcohol as they transition from childhood to adulthood. This organization aims to help young women get back on the right path through residential addiction care with a Christian focus. Young women who enroll stay in the facility for 18-24 months, and during that time, they learn a great deal about both addiction and religion. They study, they work hard, they build up life skills, and they grow. Addictions can wane with this kind of targeted care, and women who complete the program may develop skills that could help them to succeed in almost every area of life. To find out more about the cost of care and insurance payments accepted, call (505) 281-8467. La Frontera New Mexico: This organization provides behavioral healthcare in locations scattered throughout New Mexico. Many of the services provided are meant to help adults deal with criminal behavior and/or serious mental illness-related dysfunction, but there are many programs that are appropriate for people who are living with addiction. 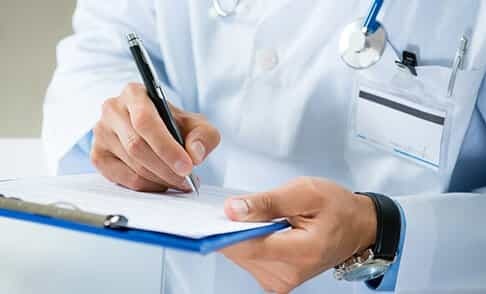 Medication management, intensive outpatient services, and crisis stabilization services might be important to recovery. The organization offers integrated mental health and substance abuse services for people who have both sets of problems at the same time. To find out about pricing and insurance availability, call (855) 334-2400. Turning Point Recovery Center: This organization provides a number of addiction recovery pathways for people in need. Those who need around-the-clock supervision can benefit from enrolling in the company’s private addiction treatment center in Albuquerque. Those who prefer outpatient services might benefit from one of the company’s many satellite centers. All of the treatment facilities in the network link clients with talented, compassionate staffers who believe in the power of therapy, personal transformation, and impressive healing. Many staffers know the journey of recovery personally, and they share their stories freely to inspire people new to recovery. All facilities are comfortable and clean, designed with the comforts of home while remaining conducive to medical therapies that might be required. Insurance payments are accepted. Call (505) 217-1717 to find out more. Rio Grande Alcoholism Treatment Program: This company has been helping people in Rio Grande to recover from addiction for more than 30 years. The company can provide outpatient treatment programs for addiction, and when those programs are complete, the company can provide support services to make that sobriety stick. There are also specialized counseling programs for people struggling with issues that may or may not have to do with a substance abuse issue. People spend time in one or two treatment sessions each week, but those who need intensive care can enroll in programs that offer counseling for nine hours per day or more. To find out about payments and insurance availability, call (575) 737-5533. Solutions Treatment Center: This treatment center is located in Santa Fe, and the providers here offer help for a number of different mental health issues, including addiction. People who enroll go through a complete psychosocial evaluation, so the team can determine what programs are needed for a full healing process. Then, the treatment plan is developed, and it might involve counseling, coaching, Chinese medicine, Reiki, experiential workshops, healing intensives, and more. Most care is delivered on an outpatient basis, but there are transitional living programs for people in need. Insurance payments are accepted, and there is a sliding scale of fees for people who need financial help. To find out more, call (877) 499-1354. The Evolution Group: This private organization provides counseling services for people dealing with addictions and/or other mental or life challenges. The providers work with both individuals and their families to help provide personalized solutions for these very serious problems. Counseling sessions can help people to understand why the drug abuse is taking place, and relapse prevention counseling can help people to stay sober for a lifetime. The counselors are compassionate and caring, and they never judge. The conversations people have with their counselors could highlight a whole new way to live. Insurance payments are accepted. Call (505) 242-6988 to find out more about this Albuquerque organization. Crossroads for Women: This organization delivers comprehensive care for women who have dealt with difficult issues such as homelessness and incarceration. Often, those issues are infused by drugs and alcohol, and they are made worse by violence. The team offers housing and counseling for these women, so they have a chance to heal in a safe space with the support of a clinical team. Women can also learn from one another in care, and the network they form in treatment could help them understand how to develop healthy relationships in the future. This nonprofit organization gets major funding from the city, as well as the U.S. Department of Housing and Urban Development. It can be reasonably assumed that women are not asked to pay. To find out more, call (505) 242-1010. Lighthouse Counseling: This organization takes a faith-based approach to healing. The licensed professionals who work here deliver real and lasting help for people with addictions through counseling sessions. Each session helps people learn how to lean on the power of God as they put the trauma of addiction behind. The main office is in Albuquerque, but there is a separate counseling center in Rio Rancho too. Insurance payments are accepted. To find out more, call (866) 756-9236. This is a sampling of all of the wonderful addiction treatment programs available to you in New Mexico. There are many, many more. Small counseling offices, methadone clinics, hospitals, and support group meetings are all available within the state too. If you need help, you can get it. And you can get it close to home in New Mexico. “New Mexico.” (2014). United States Census Bureau. Accessed September 10, 2015. “New Mexico Drug Control Update.” (n.d.). White House. Accessed September 10, 2015. Carty, M. (2015 Apr 22). 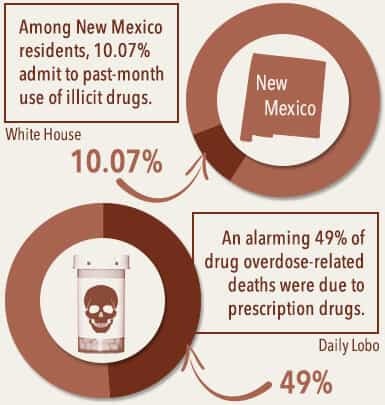 “Campaign aims to combat NM drug problem.” Daily Lobo. Accessed September 10, 2015. “New Mexico High Intensity Drug Trafficking Area.” (2011). Office of National Drug Control Policy. Accessed September 10, 2015. “Border Patrol Agents Nab Drugs, Smugglers in Southern New Mexico.” (2015 Sep 4). El Paso Herald.Accessed September 10, 2015. Malone, P. (2014 Jul 5). “New Mexico leads nation in alcohol-related deaths.” Santa Fe New Mexican.Accessed September 10, 2015. “Underage Drinking in New Mexico.” (2015). Underage Drinking Enforcement Training Center. Accessed September 10, 2015. “New Mexico Substance Abuse Epidemiology Profile.” (July 2011). New Mexico Department of Health.Accessed September 10, 2015. Esworthy, J. (2015 Jul 2). “New Mexico Implements Efforts to Improve Mental Illness.” Association of State and Territorial Health Officials. Accessed September 10, 2015. Ahtone, T. (2013 Oct 30). “New Mexico Leads Nation in Per Capita Mental Illness.” Fronteras. Accessed September 10, 2015. “Suicide: New Mexico 2015 Facts & Figures.” (2015). American Foundation for Suicide Prevention.Accessed September 10, 2015. “Substance Abuse and Mental Health.” (n.d.). Helpguide. Accessed September 10, 2015. Stim, R. (n.d.). “New Mexico Drunk Driving Fines & Penalties.” NOLO. Accessed September 10, 2015. “New Mexico Laws & Penalties.” (n.d.). NORML. Accessed September 10, 2015. “New Mexico Heroin Laws.” (n.d.). FindLaw. Accessed September 10, 2015. AP. (2015 Feb 24). “New Mexico Senate Oks forced mental-illness treatment bill.” KOB News. Accessed September 10, 2015. Ireys, H., Achman, L. & Takyi, A. (n.d.). “State Regulation of Residential Facilities for Adults with Mental Illness.” National Alliance on Mental Illness. Accessed September 10, 2015. “Licensed Counselor Requirements in New Mexico.” (n.d.). Counselor-License. Accessed September 10, 2015. Goldberg, C. (2013 Apr 22). 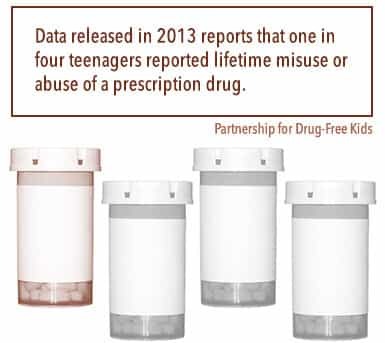 “National Study: Teen Misuse and Abuse of Prescription Drugs Up 33 Percent Since 2008, Stimulants Contributing to Sustained Rx Epidemic.” Partnership for Drug-Free Kids. Accessed September 10, 2015. “Alcohol-related deaths: How does your state rank?” (2014 Jun 27). CBS News. Accessed September 10, 2015. “Decrease in Drug Overdose Death Rate in New Mexico.” (2014 Sep 3). New Mexico Department of Health.Accessed September 10, 2015. Whorton, B. (November 2013). “Drug Abuse Patterns and Trends in Albuquerque and New Mexico: June 2013.” National Institute on Drug Abuse. Accessed September 10, 2015. “States in Brief: New Mexico.” (December 2008). Substance Abuse and Mental Health Services Administration. Accessed September 10, 2015. “Substance Abuse Treatment Facility Locator.” (n.d.). Substance Abuse and Mental Health Services Administration. Accessed September 10, 2015. “Under Affordable Care Act, Substance Addiction Treatment, Including Treatment for Prescription Drug Addiction, Is an ‘Essential Health Benefit’.” (2013 Sep 19). AWARxE. Accessed September 10, 2015. “Substance Use and Mental Health Estimates from the 2013 National Survey on Drug Use and Health: Overview of Findings.” (2014 Sep 4). Substance Abuse and Mental Health Services Administration. Accessed September 10, 2015.